An insight into the culture of the era, in 1960's California, we are found inside the head of a teen who is longing for attention from just about anyone. Her parents are recently divorced due to her father's cliche affair with his secretary, and her mother now trying to recover with a series of new boyfriends. Her disjointed family life leaves her vulnerable and angry, leading her into the arms of a rogue group of girls and the dangerous aura that surrounds them. They are living an undefined commune-esque life on a ranch in the hills; a life which Evie immerses herself into. Evie's involvement in the cult intensifies and begin to spiral out of her control. Reminiscent of a gender-inverted A Clockwork Orange, the 'girls' replace the droogs, and rather than dystopian fiction, this is loosely based on historical events of the Charles Manson cult. The alluring nature of danger is tangible through the novel from the beginning, creating an atmosphere of disturbance and unease from the word go. The sinister events that take place create a can't-look-but-have-to kind of atmosphere, which is both unsettling but makes you want to read on. Cline has been praised for her accuracy in depicting the psych of a young, vulnerable girl at 14, struggling through the rights of passage and life lessons that this age inevitably sets forth. I think this praise is just as her depiction of Evie is entirely relate-able, The need to be accepted is a reality for any generation, but particularly poignant for teen girls for whom self-validation is a must. Written in prose, the poetic style of the language renders the first couples of chapters slightly inaccessible without perseverance and requires a certain amount of re-reading to get your head around and eventually get into. However, it is worth pursuing and pays off in it's ability to build tension to an unbearable point. 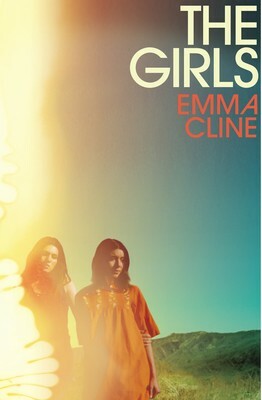 The novel jumps between Evie as a girl in 1969, and her as a middle-aged women, reflecting on her life. This anaphoric structuring does allow Cline to hint to the atrocities to come and the immensity that it will take by describing how tragic Evie's life has become as a direct result. I also found echoes of Wilde's Dorian Grey resonating in Cline's language; the beautification of violence is created using her poetic prose, emphasizing the grotesque and gore as something to behold. After all, glamorizing that what is not actually as pleasant as it seems is a human way of dealing with it and as Evie finds, although something is alluring, it is not necessarily a good idea. I would say, there is a very startling, almost hard to believe, jump from runaway teens living a carefree, promiscuous life, away from the regiment and order of society, stealing from garbage bins and local shops where we first meet them, to becoming cold-blooded, ruthless killers. As a reader, you have to just go with it. Is this a comment on the extremities that one will go to if it means they belong; Suzanne and the girls way of showing Russell their worth? Or simply an accurate portrayal of the actual events. Although the murders do not come as a shock, alluded to throughout the novel and especially if you are aware of the Charles Manson story already, this transition is rather shocking. Perhaps, as narrated from Evie's perspective (although she wants to be, her exclusion as one of them is continuously alluded to), Cline may be referring to Evie's denial from the reality of the atrocities the gang were capable of, until it made the news. The novel also covers similar themes to We Need to Talk About Kevin; the nature vs nurture debate is alluded to by Cline in the consistent subplot of her father's affair and consequent breakdown of the family unit. Is this the cause of her desperation to be accepted, regardless of what it takes to get there? Are they to blame? On the surface, the novel is gripping, satisfying and immersive. It is easy to get carried away in the deeper themes, analyzing Cline's motives as the author, especially given the context, but it is undoubtedly worthy of all the attention it has received thus far. The more reviews, perspectives and research I read on Cline's topic for her debut novel, the more I understand why she has chosen this fascinating backdrop.